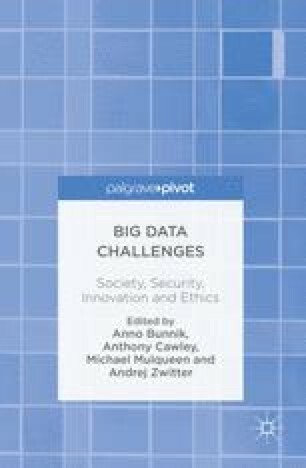 As we move resolutely into a Big Data age, it appears that a sense of ‘panoptic panic’, boosted by the Snowden revelations, about the expanding capabilities of our intelligence agencies is growing amongst sections of the public. Law enforcers and security officials will often speak about the need to amass large amounts of data to find needles in haystacks, but civil libertarians and cyber-utopianists warn of a slide towards Orwellian powers of mass surveillance. Big Data implies an epistemological shift in data analysis, and opens up new opportunities for security agencies to become more proactive and pre-emptive. This chapter argues that, while the risks of such a move must be recognised, we must also be able to deliver security responsibly.